The SDR SensorDish® Reader is a small 24-channel reader for non-invasive detection of oxygen and pH in multidishes (SensorDishes®). These contain a sensor spot at the bottom of each well. They are read out non-invasively through the transparent bottom. 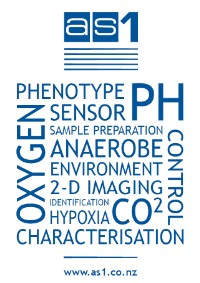 SensorDishes® for oxygen (OxoDish®) and pH (HydroDish®) are available in the 24-well and 6-well format. Deep well plates with integrated oxygen sensors (OxoDish®-DW) allow measurements in shaken cultures. Read out of oxygen sensors integrated in glass vessels for respiration monitoring is also possible. The SensorDish® Reader can be used in incubators and on shakers and is thus the ideal tool for cell cultivation. Thank you! Anna will get back to you shortly.